It is a rare kind of CEO whose death shakes not only their own company and the markets, but an entire culture. A single obituary or even a forest of them, could not encompass the influence of and affection for Satoru Iwata. This was a man whose infectious laughter became a meme, a leader whose warmth and affection made him almost as beloved as the characters whose destinies he helped define. Iwata joined Nintendo in 2000. In 2002, he became the first president of the company not to be a member of the founding Yamauchi family. He continued and strengthened the spirit of innovation begun by his predecessor Hiroshi Yamauchi, who transformed Nintendo from a card game maker to a multi-billion dollar icon. Under Iwata, Nintendo moved on from GameCube and the ageing Game Boy, introducing the Nintendo DS and Nintendo Wii. It was a bold move that helped to open gaming to millions of new players. He spent the bulk of his career at HAL Laboratory, where he worked on games including Earthbound and Kirby, as well as having an integral role in the founding of Creatures Inc, the home of Pokémon. At Nintendo, Iwata became more than President and CEO. He was a character, Mr Iwata, whose appearances at conferences and in his own ‘Iwata Asks’ videos were always eagerly awaited. The introduction of ‘Nintendo Direct’ in 2011 was an incredibly smart move by the company. The online press conferences put Iwata front and center and allowed Nintendo to show off games and trail new projects in a way that made the gaming press rush to catch up. Like Mario has his overalls and his cap, Iwata had his mop of floppy hair, his three-piece suits and a signature gesture, pointing both hands to the camera when he said the word “direct” (in Japanese that’s “chokusetsu” [直接]). It’s because Iwata became so much more than an executive that his death feels so real and raw to fans and admirers of Nintendo today. In a strange way, I felt like I knew him, despite the language barrier and the fact that, well, I never had the honor of meeting him. There will be countless dissections of his legacy today – his final ‘major’ decision at Nintendo was to begin its move into mobile gaming – but the question of what and who is next should really be left for another day. If you want an example of why Iwata was integral to Nintendo’s soul, you need only look to an incident that happened in 2001, before he became its President. …[it] didn’t look like it was going to make its release date, so I sort of did a code review for it (laughs)…I went to HAL Laboratories in Yamanashi and was the acting head of debugging. So, I did the code review, fixed some bugs, read the code and fixed more bugs, read the long bug report from Nintendo, figured out where the problem was, and got people to fix those…all in all, I spent about three weeks like that. And, because of that, the game made it out on time. That’s the way to remember him, as a man who loved games. 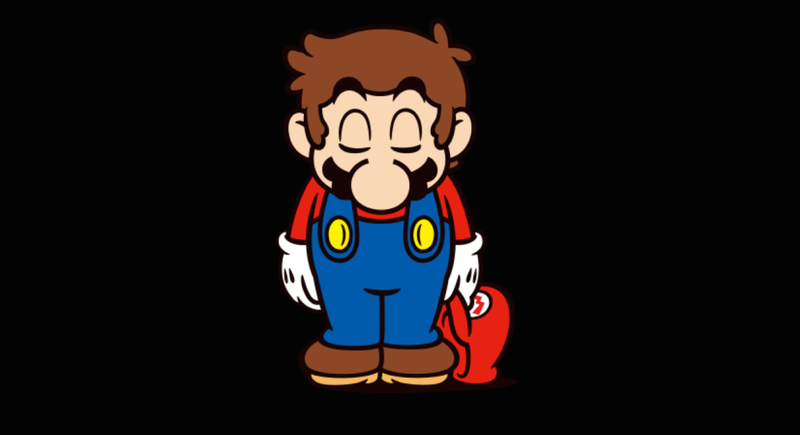 We’ll miss you, Mr Iwata.